New housing subdivision. New houses being built. Suburban development. 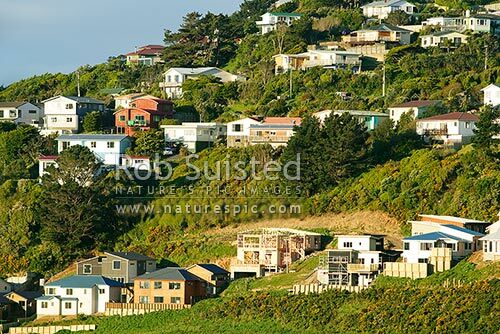 New homes, Newlands, Wellington City District, Wellington Region, New Zealand (NZ), stock photo.